NPD results finally made there way in and it was another month in which PS4 took the number 1 console spot. It’s been number one every month of 2014 so far. 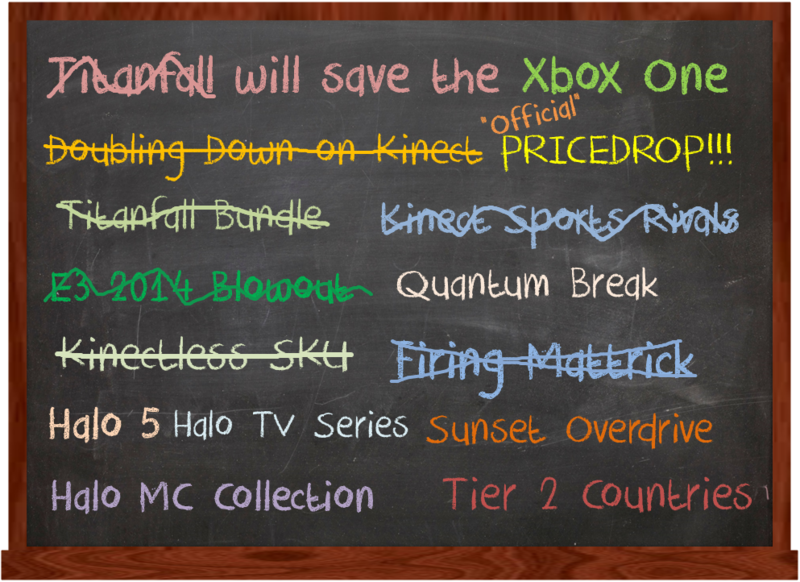 The importance of this particular NPD though is June being a 5 week month, should see a few more sales of each console, and another thing to consider in this month is it was the first month of the cheaper ‘kinnectless’ Xbox One bundle, so to see it still behind is quite interesting. PlayStation 4 was #1 in sales for the sixth consecutive month and remains the cumulative leader for next generation game consoles. PlayStation 4 was #1 for next generation software sales, with PS4 leading two of the top three titles. PlayStation was #1 in combined home console hardware sales (PlayStation 4 and PlayStation 3) for the month. The biggest next generation software titles, including Watch_Dogs, UFC and FIFA 14, were #1 on PlayStation 4, further demonstrating that PS4 is the platform of choice for blockbuster games. It’s also worth noting that the order of the consoles next to the title indicate which platform it’s sold best on, so in the case of Watch Dogs 1st PS4, 2nd Xbox 360 which in itself is another shock. But further proof that the PS4 apparently seems to do no wrong at the moment. It’s been a particularly impressive month for the forgotten Nintendo as Mario Kart 8 and the quirky Tomodachi Life stand strong in the top 10. The most impressive being Tomodachi Life sticking around, a title that Reggie himself held little hope for in the western world. After firing out of the gate at the end of May, Mario Kart 8 had an even stronger second lap. The game was the top-selling physical software SKU in the U.S. in June, and sold more than 470,000 physical and digital units.This brings its lifetime total to more than 885,000 units in the U.S. alone. Mario Kart 8 is also driving new momentum for the Wii U platform and its library of great titles, which includes an industry-best 15 games with a Metacritic score of 85 or higher. Sales of hardware and software in June 2014 were up 233 percent and 373 percent, respectively, over June 2013. For the first half of the year, total sales of Wii U hardware and software have increased by 48 percent and 129 percent, respectively, over the same period in 2013. You gotta love a good end NPD, Will update the post as more details come out.